IDENTITY politics in Malaysia should not be analysed through universal perspective. It has to be conceptualised based on the various narratives about the birth of this modern country through its independence in 1957. Of particular significance are narratives on the struggle for independence, concerning the British policy on independence, related to the spirit of social contract and pertaining to the emergence of consocianational democracy. These narratives defined the form, substance and characteristics of Malaysia’s identity politics. Failure to understand them will end up in distorted conceptualisation of Malaysia’s identity politics. The first narrative is about the nature of the state. British Minister for the Colonies told Tunku Abdul Rahman Putra in 1951, that Malaya would only be granted independence after all races were united. This policy was re-communicated by British High Commissioner to Malaya, to Tunku Abdul Rahman, in 1953. The above is a testimony that British policy on independence was the one that had caused Malaya to be transformed from a nation-state to a plural state. Hence, this policy is the primary determinant to the emergence and practice of identity politics in this country. Identity politics would never exist if Malaysia remained a nation-state in the post-colonial era. The second determinant to the existence of identity politics in modern Malaysia is the British socioeconomic policy which created systemic inequality between the Malays and the others. This socioeconomic narrative also motivated Tunku Abdul Rahman to form a political cooperation with the Malaysian Chinese Association representing Malayan Chinese and Malaysian Indian Congress representing Malayan Indians, to spearhead a credible movement for independence. This spirit of political cooperation is known as social contract, and the platform for the political coalition under “Perikatan” or the Alliance, is the principle of consocianational democracy. Hence, the third determinant to the emergence and practice of identity politics in Malaysia is the spirit of social contract; and the fourth is the principle of consociational democracy. 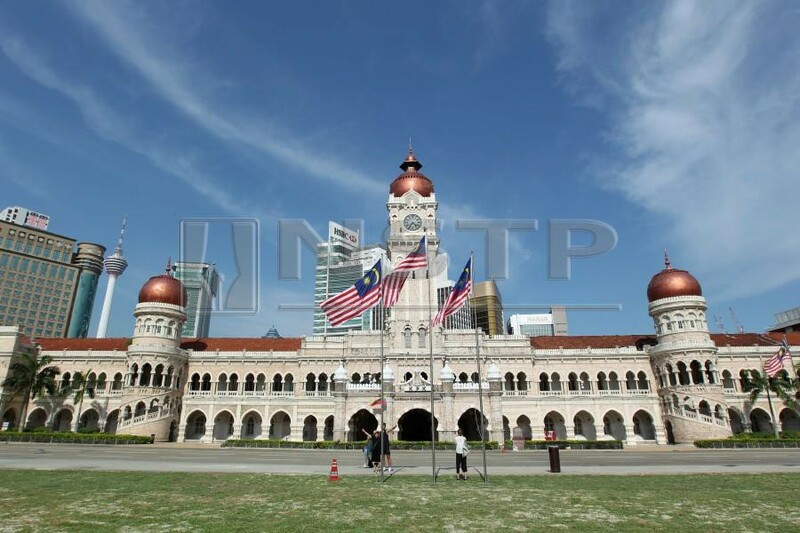 Consequently, social contract became the check and balance mechanism to the practice of identity politics at the intra and inter-party levels, aimed at protecting Malaysia’s national identity in the Federal Constitution. The principle of consocianationalism, on the other hand, had transformed Malaysia’s identity politics into the bigger framework of democratic national government which ruled our country in the post-colonial era. The above enabled identity politics in Malaysia to be regulated by the policies of its national government which upholds the principle of democracy and constitutional monarchy. As such, the uniqueness of identity politics in Malaysia is defined by the spirit of social contract, the principle of consocianationalism and the positive values of race-based democracy. This characteristic differs from identity politics and liberal democracy propagated by several Malaysian opposition political parties. The following are empirical examples to these differences. In 1964, a group of political parties — practitioners of identity politics and liberal democracy — launched an anti-constitution movement based on the so-called concept of Malaysian Malaysia. They demanded Malaysian non-Malays and non-Muslims be granted with equal constitutional rights enjoyed by the Malays and the Muslims. This caused racial and religious riots in Singapore in 1964, and the separation of Singapore from Malaysia in 1965. In 1969, another group of political parties formed an electoral pact to propagate the same Malaysian Malaysia concept during 1969 General Election. They used the principle of liberal democracy to legitimise their identity-based agenda. This resulted in ethnic riots and the suspension of Malaysian Parliament in 1969. In 1987-1988, a political party and one Christian movement had used the principle of liberal democracy and universal freedom, to cause racial polarisation and religious disharmony which was never propagated by advocates of identity politics in Malaysia. Beginning 2007, an individual backed by liberal democratic NGOs and international actors, challenged Article 11 of the Federal Constitution on religious freedom. This was followed by another NGO alleging Malaysian government of discriminating Hindu religion. This NGO dragged its struggle to the British Government and a British court of justice. In 2012-2013, a non-Muslim religious authority demanded the use of the term “Allah” in the Bible. This move, being supported by several opposition parties, caused intense religious disharmony and animosity among Malaysia’s Muslims and non-Muslims. The above testify that identity politics in Malaysia does not propagate racial discrimination or religious suppression. Instead, certain practitioners of liberal democracy, champions of meritocracy and proponents of universal human rights are perceived as the ones challenging several provisions on national identity in the Federal Constitution. In the current era too, political parties which propagated identity politics in the previous government, are now in disarray. This may cause them to move on without the guiding principle of the social contract. Hence, what will be the future of identity politics in PH era, how will this phenomenon be mitigated, and will identity politics in either camp turn extreme and threaten Malaysia’s political, societal, economic and national security?